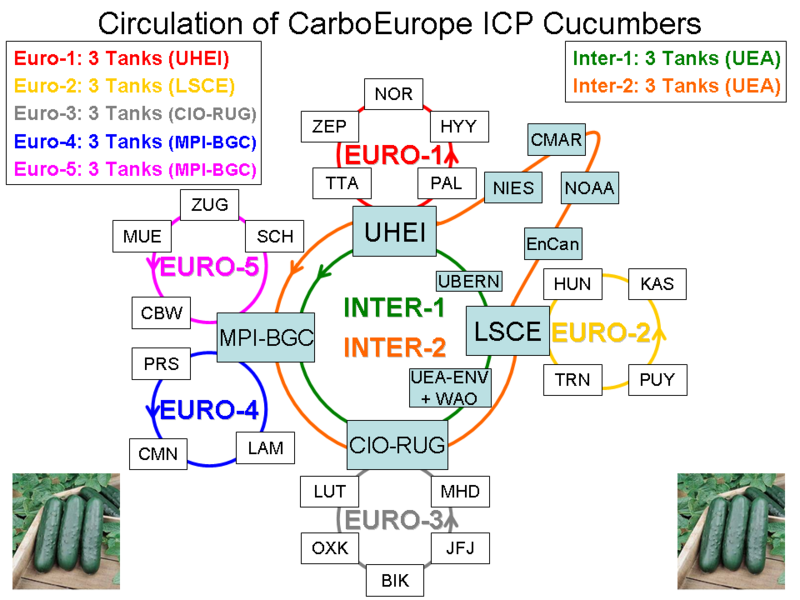 The Cucumbers intercomparison programme is one of several that was begun in the European Union CarboEurope project (2000-2005), then continued in the EU IMECC (2007-2011) and InGOS (2011-2015) infrastructure projects. This programme has the distinct difference from other comparrison programmes that it compares results from the many atmospheric CO2 monitoring field stations within Europe, in addition to several laboratories. Presently, 21 field stations and 11 laboratories are engaged in the programme. The aim of atmospheric measurement intercomparison programmes is to assess and quantify potential offsets in calibration scales. Specifically, the three main objectives are to: 1) improve laboratory and field analytical procedures and reduce calibration scale offsets progressively; 2) contribute to an estimation of uncertainties in the field station data sets; and 3) achieve improved scientific interpretation of the data by taking into account the quantified scale offsets. 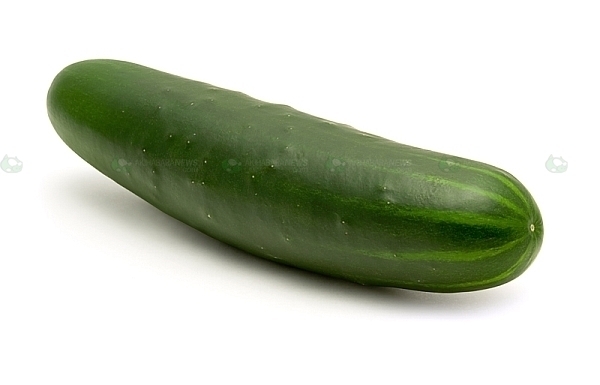 A ‘Cucumber’ is a 20 L Luxfer aluminium cylinder filled with natural air to high pressure (200 bar). The programme consists of 7 fast-rotating loops, each loop consisting of 3 Cucumbers spanning a range of CO2 concentrations from about 360 to 400 ppm. Within each loop the Cucumbers cycle perpetually between several field stations or laboratories, and are analysed at each, according to common procedures. As soon as data are received, they are incorporated into the graphs shown on this website. In addition to CO2, 8 other atmospheric species are monitored in the programme, with stations and laboratories analysing additional species as their analytical capabilities and time allow. The programme also incorporates key laboratories from the USA, Canada, Japan and Australia. 2. These data must NOT be used to adjust any laboratory's calibration scales.